Even though February is a short month, you won’t find a shortage of things to do in Irving. Explore some of this month’s exciting Irving happenings below. Parents take note! At this special Elementary Lock-In, children in grades K-5 can enjoy an evening of games, food, music, and fun with their friends in a safe, supervised, and structured environment. Located at the Cimarron Park Recreation Center, the event begins at 7 p.m. and ends at 11 p.m. The cost is $5 per child. Irving Parks and Recreation ID card required to register. Home to an unparalleled guest list of comic artists, comic dealers, and a cosplay contest, the North Texas Comic Book Show is the premier destination for comics fans in the North Texas region. Here, you will get the chance to meet the creators who have shaped the stories and art that built the comics industry. The show also features indie comics from new and upcoming artists and writers. This family-friendly event takes place Saturday and Sunday at the Irving Convention Center at Las Colinas. Don’t miss the final performance of “Ravenscroft” at the Irving Arts Center. This fast-paced murder mystery will keep you on the edge of your seat the whole time. Follow along as Inspector Ruffing investigates a chilling murder at a remote house on a snowy night. Showtime is 7:30 p.m.
Trivia fans will love the chance to show off their knowledge of sports, pop culture, history, and more at the free Trivia on the Patio event at Irving Public Library - West. Adults and teens 16 and older are welcome. This biweekly event takes place every other Thursday and begins at 7:30 p.m.
Dog lovers, pay a visit to Homegrown Hounds for Be Mine PAW Paintings, a special Valentine’s Day painting made with your dog’s paws! A $10 donation gets you one of these special paw print keepsakes, available in one of two themes: Love Bugs or Roses & Valentine Hearts. Stop by weekends from 11 a.m. until 5 p.m through February 17. For more Valentine’s Day fun, stop by Irving’s Heritage House Museum between 2 and 4 p.m. for a Vintage Valentine Tea. The free event marks the 41st anniversary of the founding of the Irving Heritage Society and the Heritage House will be decked out in themed decor. Kids adore Valentine’s Day, so why not throw them a fun event to celebrate together? The Little Cupids Valentine Party at Lee Park Recreation Center lets children, ages 12 and younger, gather and share valentines, games, crafts, and snacks. Bring extra valentines to share with others. Registration deadline is February 7. Cost per child is $5 and the event goes from 10 a.m. until 12 p.m. Children must be accompanied by a parent or guardian. If you have teenagers looking for something to do, point them to the Teen Valentine Celebration at Lively Pointe Youth Center. This free event for middle and high school students will include treats and beverages. The party takes place after school from 4 to 6 p.m.
Parents of young children should head to Toddler Time at the Sky Zone Trampoline Park on Saturday mornings. Here, you can let your little ones jump and play out all their excess weekend energy in a fun, safe environment. Price is $8 for toddlers, $10 for each jumping parent. Jumping begins at 10 a.m. The Stamp & Scrapbook Expo returns to the Irving Convention Center for another year of crafting fun. Join hundreds of scrapbooking enthusiasts for make-and-take sessions, all-day crops, and workshops where you’ll learn about the latest and greatest products and techniques. The expo runs from February 22-23, but you’ll want to register for the popular workshops and crops ahead of time. The Las Colinas Farmers Market is the ideal spot to load up on fresh local produce, meats, and speciality items. Sample homemade jams and honeys, pick up a dozen organic eggs, or just kick back and munch on tamales while taking in the lively scene. Located at 7701 N MacArthur Blvd, the market goes from 10 a.m. until 2 p.m. every Saturday. If getting organized was high on your list of 2019 resolutions, pencil in the Plan On It: Monthly Planner Meet-Up event at the Irving Public Library - South. Bring your new planner or bullet journal and get ready to share your planning techniques, hear from others about how they stay organized, and plan the month ahead. 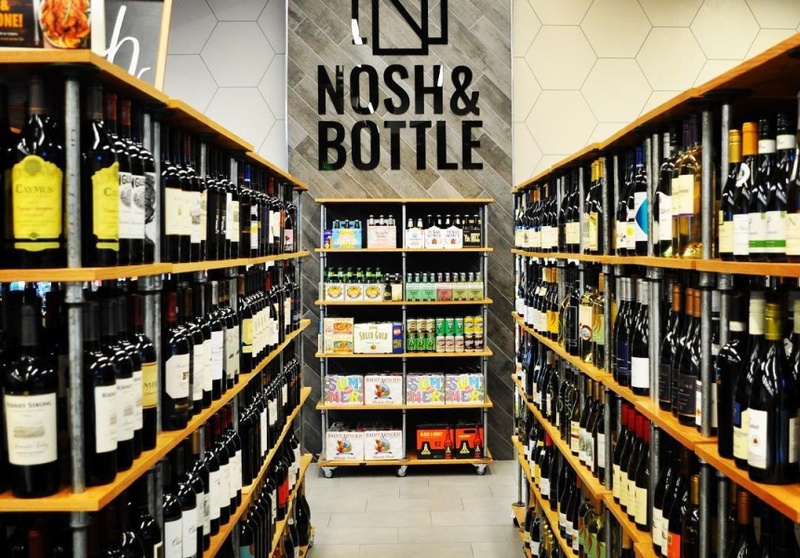 The meet-up goes from 11 a.m. to 12 p.m.
Get down to the Toyota Music Factory’s Nosh & Bottle Market for $3 Mondays and enjoy $3 craft beer and house wine by the glass at one of Irving’s finest gourmet establishments.